Pope Francis leads a mass at the Sistine Chapel at the Vatican on Thursday a day after his election. 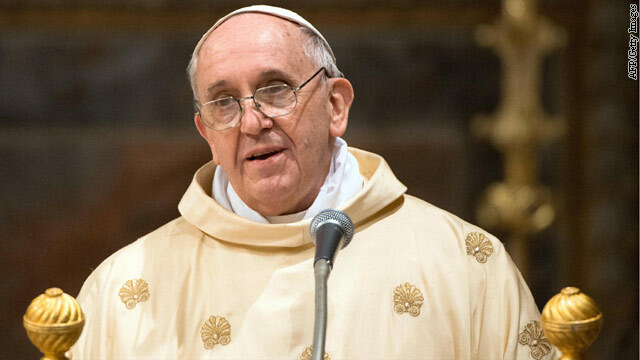 As Pope Francis assumes his role as leader of the world's 1.2 billion Catholics, he is also the newest head of a sovereign state that accepts and accredits foreign envoys while sending its own diplomats around the globe to advance its interests. There currently are 179 diplomatic missions with ties to the Vatican. To the casual observer, the post may seem like a dream assignment, full of pomp and circumstance in one of the world's most historic and beautiful cities. But there is more to the job than what meets the eye. "It's really in a unique position to engage with the world's largest faith-based organization," Miguel Diaz, the most recent U.S. envoy to the Holy See, told CNN. President Barack Obama has yet to nominate a successor to Diaz, who stepped down in November. "We do the same things at the Holy See mission that any ambassador to a secular mission would do," former envoy Francis Rooney, who arrived in Rome just after Pope Benedict XVI ascended in 2005, told CNN. "You have the routine interaction with the host country interlocutors over diplomatic matters in pursuing the interests of the United States." And while the ambassador is not dealing with crises such as an American citizen imprisoned within the host country, or dealing with a country in the midst of revolution, the embassy in many ways is a busy post. "The central strategy of the embassy is to work with the Vatican structure, and with organizations affiliated with the Vatican to achieve foreign policy objectives that can be hard for traditional governments to reach," says Diaz, professor of faith and culture at the University of Dayton. During his more than three years as ambassador, Diaz used his position to engage Muslims, Jews, Christians and others to promote interfaith dialogue and mutual understanding in an effort to counter violent extremism. There also were issues of importance to the Obama administration in which the ambassador sought the Vatican's assistance, including climate change. Benedict, who some referred to as the first "green pope" for his calls to protect the environment, found a willing American partner on global initiatives to address climate change. The United States also works with the Vatican on promoting nuclear non-proliferation, conflict resolution, global health and religious tolerance. In an era where a greater understanding of what is happening inside Iran, Cuba and other countries where the United States has little or no diplomatic presence, or countries such as Syria where the situation is too dangerous to send diplomats, the embassy at the Vatican serves another purpose. "These are places where the church is present," Diaz said. "This is called the great listening post precisely because it's got all these agents available throughout the world that can offer information that comes from the ground." For Rooney, now chairman of a construction conglomerate based in Oklahoma, the embassy serves another purpose for American messaging. "There were many opportunities when I was serving there where we could work with the Holy See to get a message out, especially a message branded by them - things said by the pope and things said by the Curia, that promoted U.S. interests and were in alignment with U.S. interests but would be perceived differently when said by a non-hegemonic source against the government of Iran for example." Diaz was something of a historic figure himself as the first Catholic theologian and Cuban-American named to the post. Watching the College of Cardinals convene the papal conclave from afar and elect a successor to Benedict was a somewhat unique experience for Diaz. "These are not just men that are an abstraction to me," he said. "These men have eaten at my table. These are people that I know well." The United States is currently represented by Mario Mesquita, the charge d'affaires at the embassy. Hopefully this new Pope will come out against the use of those ungodly drones and Apache helicopters which are butchering thousands of people in Afghanistan, Pakistan and Yemen day after day! He really needs to for the sake of pure justice and decency! Thank you, Joseph. I fully agree. 1.2 billion catholics do I being one of them. When the pope meets Biden, will he as a head of state take him to task for forcing church hospitals to cover things they find abhorrent to themselves, like contraception and ab0rt1on (aka plan b)? The song and dance that the insurance company will cover it and not the hospital or religious organization is bull. They will charge the hospital. What about self-insured hospitals? they do exist.